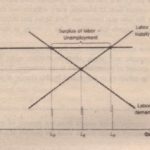 these explanations of unemployment they consider most important The analysis of this chapter yields an important lesson: Although the economy will always have some unemployment, its natural rate does change over time. Many events and policies can alter the amount of unemployment the economy typically experiences. As the information revolution changes the job search, as Congress adjusts the minimum wage. as quit unions, and as firms change their reliance on me natural rate of unemployment evolves. Unemployment is not a simple problem with a simple solution. But how we choose to organize our society can profoundly influence how prevalent a problem it is.